Bracelet, designed by Joshua Chamberlain and made by Tiffany & Co., which Chamberlain presented to his wife Fanny to commemorate their tenth wedding anniversary. 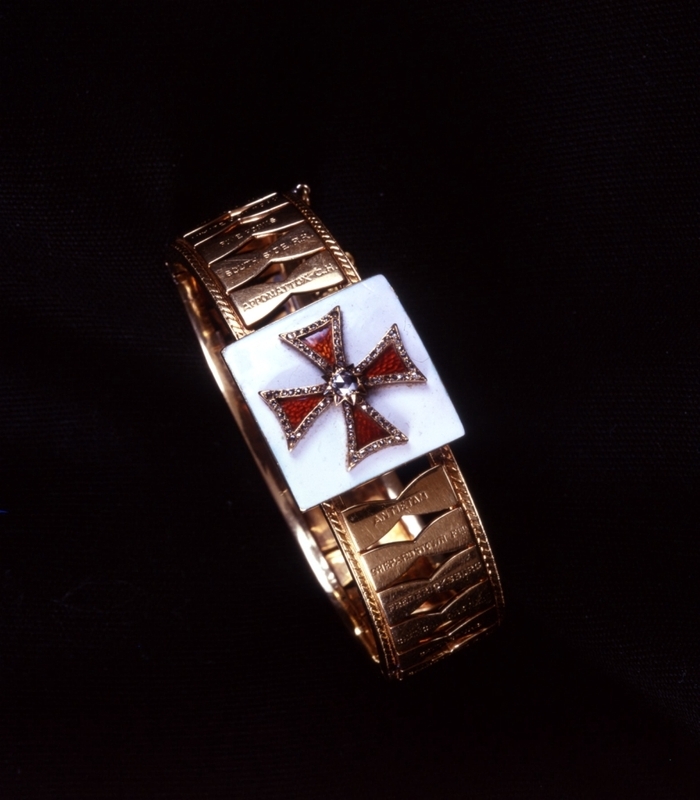 The diamond and gold bracelet features an enamel Maltese Cross -- the symbol of Chamberlain's V Corps -- as well as twenty-four gold hourglasses, each engraved with the name of an engagement Chamberlain participated in during the Civil War. Free use of image with proper attribution.